Founded in 1930, the Pacific Coast Shellfish Growers Association (PCSGA) represents growers in Alaska, Washington, Oregon, California and Hawaii. PCSGA works on behalf of its members on a broad spectrum of issues, including environmental protection, shellfish safety, regulations, technology and marketing. The Pacific Coast Shellfish Growers Association and the National Shellfisheries Association – Pacific Coast Section (NSA-PCS) invite submissions of abstracts for oral presentations at the 2019 Annual Shellfish Conference. 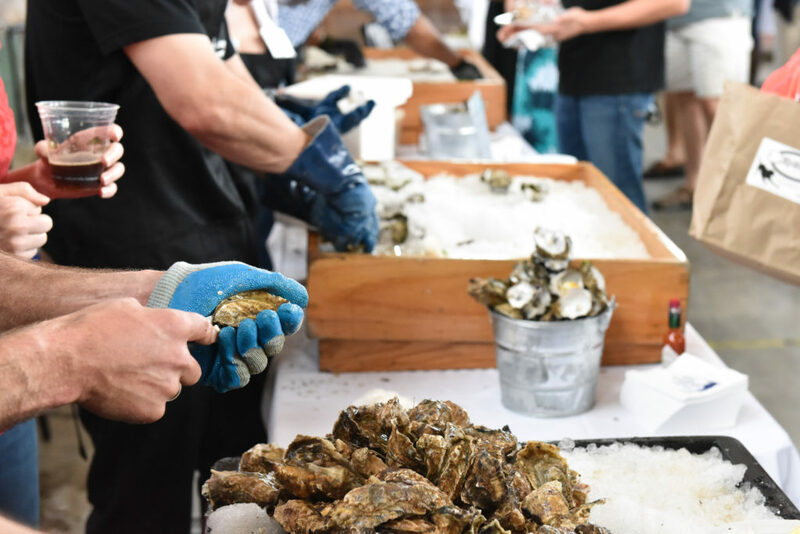 Conference attendees include shellfish growers, suppliers, service providers, researchers, academicians, government agencies, environmental organizations and students. Scott Smith: As it turns out, humans aren’t the only ones who enjoy feasting on Pacific Oysters. This octopus crawled into our oyster tub in Mud Bay on Eld Inlet. We released him back into the bay, but we found him the very next day in the same tub feasting away again. Smart guy! He knows good food when he finds it. 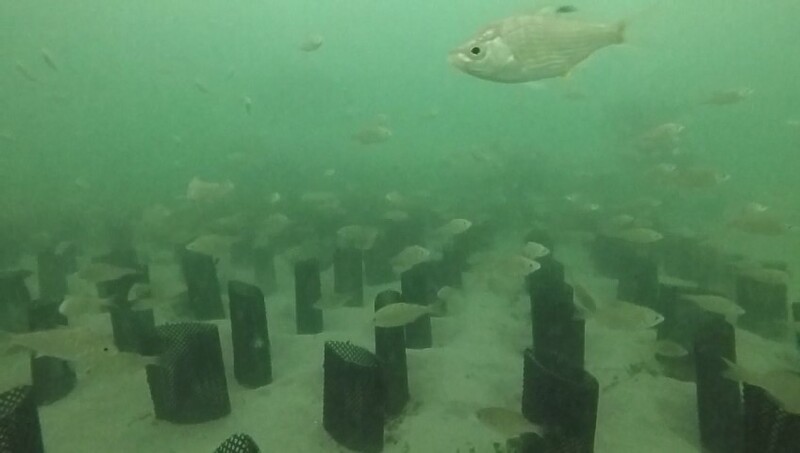 Richard Turner: Native Spiny Scallops growing in homemade pearl net provides safe spot for native Green Sea Urchin to grow. The urchins graze on the algae growing on the scallops and pearl net. Scallops are natural filters of phytoplankton. Zooplankton help keep water clean of algae blooms.